Discovered a nice little breakfast spot, just around the corner. Continental breakfast. Bang. A twenty minute walk and we are into the centre of London at Oxford St. Need some more comfortable shoes as my desert boots have had their day. Into Carnaby St in Soho to Size for some new trainers. All good. Hendrix used to shop in Carnaby St for second hand clothes because he was so desperately poor in the early days. 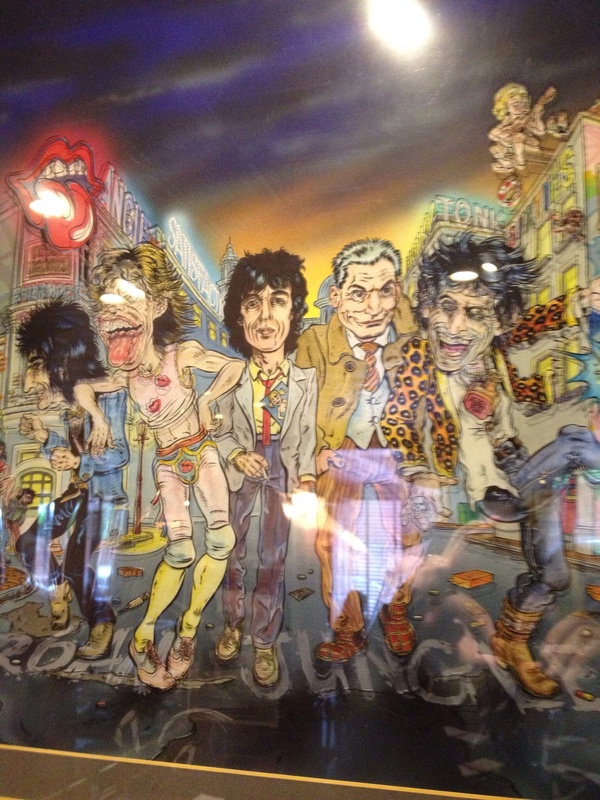 What is it with Rock n Roll illusions? Down to the meeting point for the Rock n Roll Tour……in a minivan. We meet our guide, come back at 2pm he says. Upon returning to the 12-16 seater we discover that we are in a minority in a sea of Canadian and Americans. Surprised to hear Bruce name check Hunters and Collectors as a top Australian band (which they are)……….Men at Work? INXS? Bee Gees? 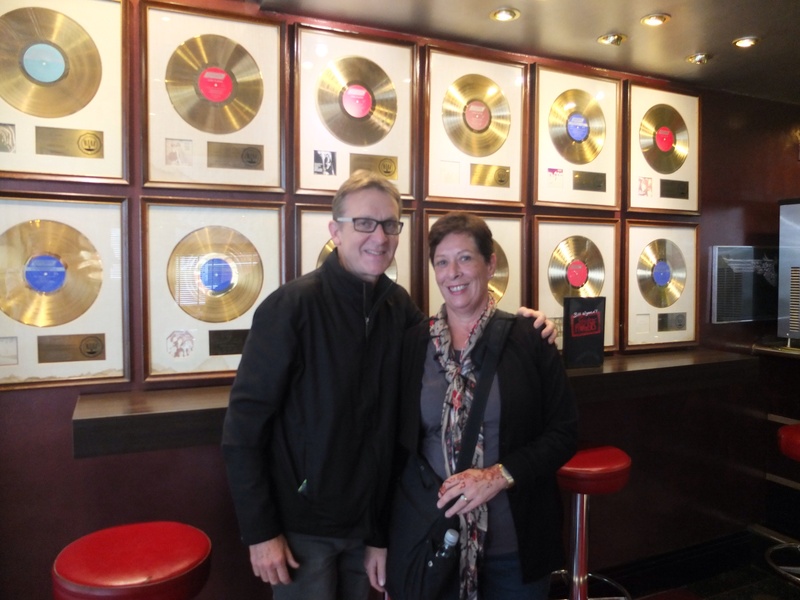 The stories keep flowing………….the Royals tend to frequent this club when they are around. Interesting. 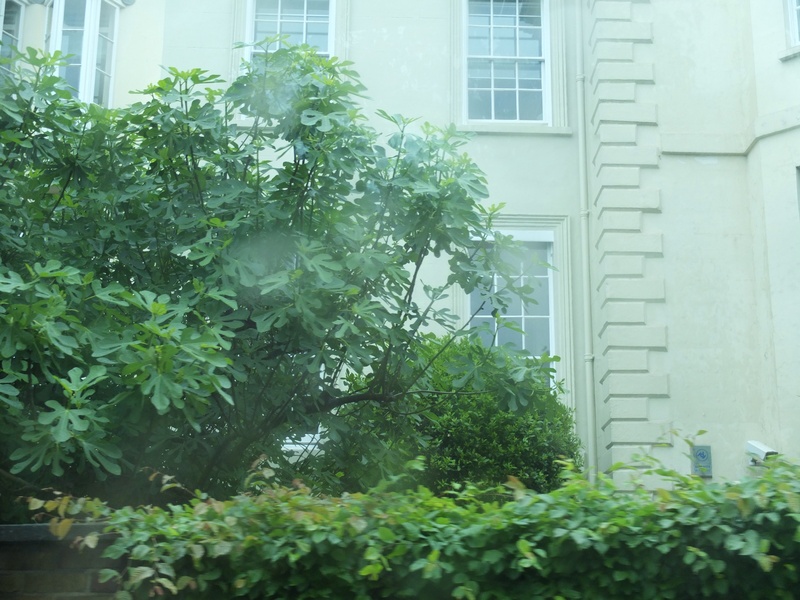 Mick Jagger has this place (below) near the Thames that he has never lived in because the council won’t let him cut down the greenery to get a view. 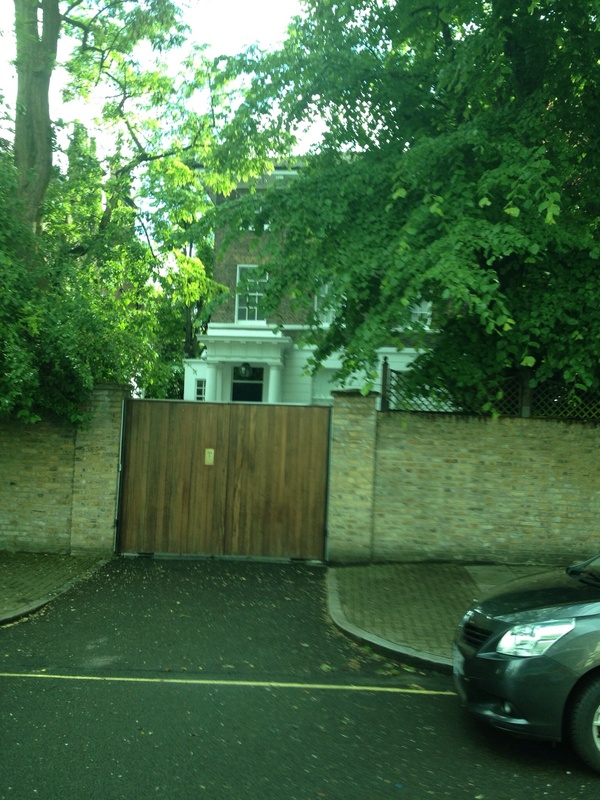 We keep going, …………..oh I see, thats Jade Jagger’s house a few doors up. 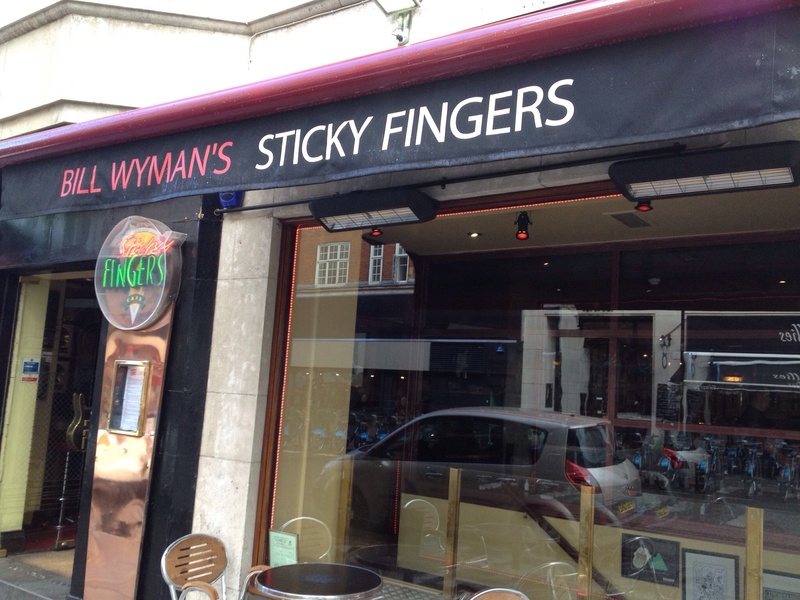 Eventually we find ourselves at Bill Wyman’s Sticky Fingers restaurant. Bill still plays in his band the Rhythm Kings, with a floating roster of musicians. Apparently Ronnie hangs around here from time to time. 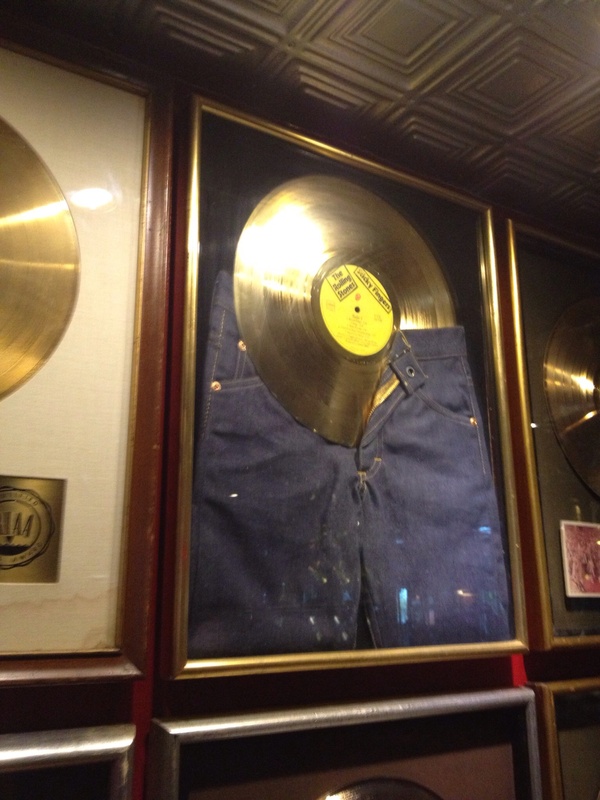 In the actual restaurant we find a whole lot of memorabilia collected by Bill from the early years. Eventually we get going on to the second half of the tour that will clearly climax at Abbey Rd. 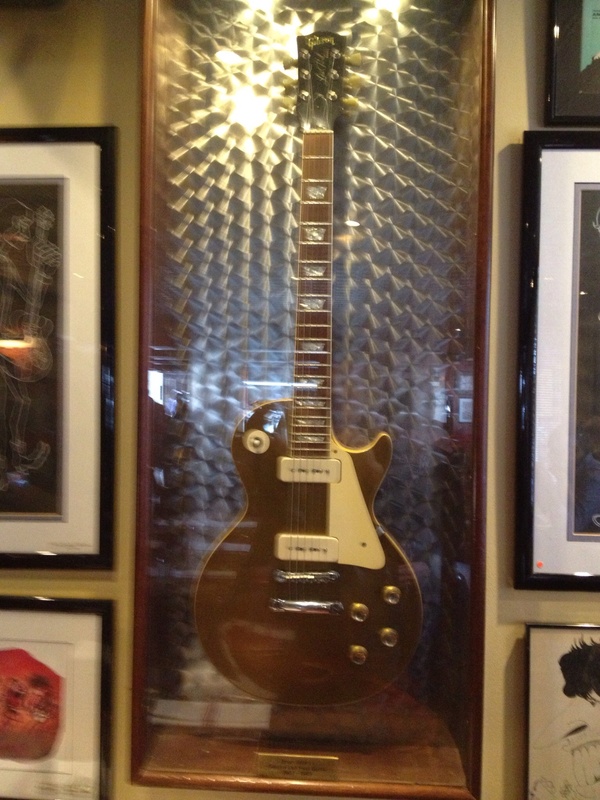 Righto thats Jimmy Page’s house. Apparently if Jimmy sees the tour bus coming around he’ll often duck out and do a meet and greet and sign autographs. The Rock tour company and Jimmy’s wife both support some orphanages in Brazil. 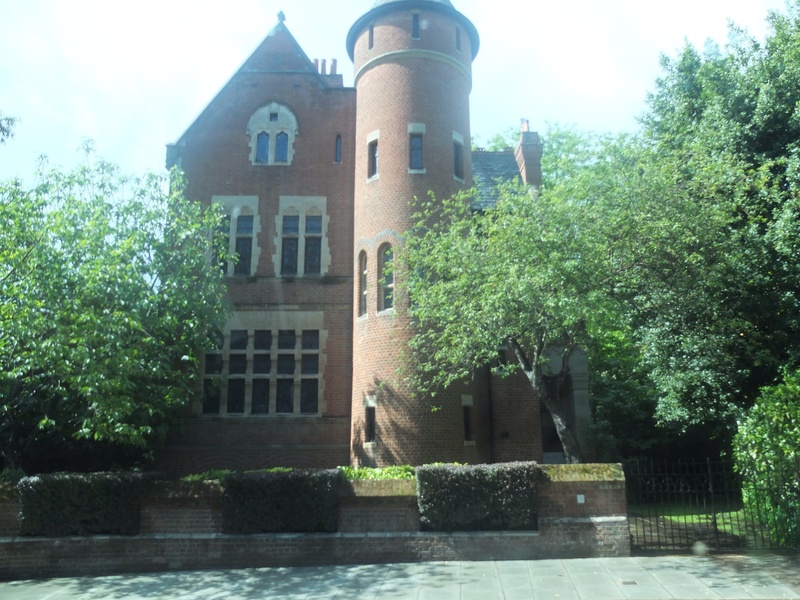 Here’s Jimmy Page’s house that he has had for the last 40 years. 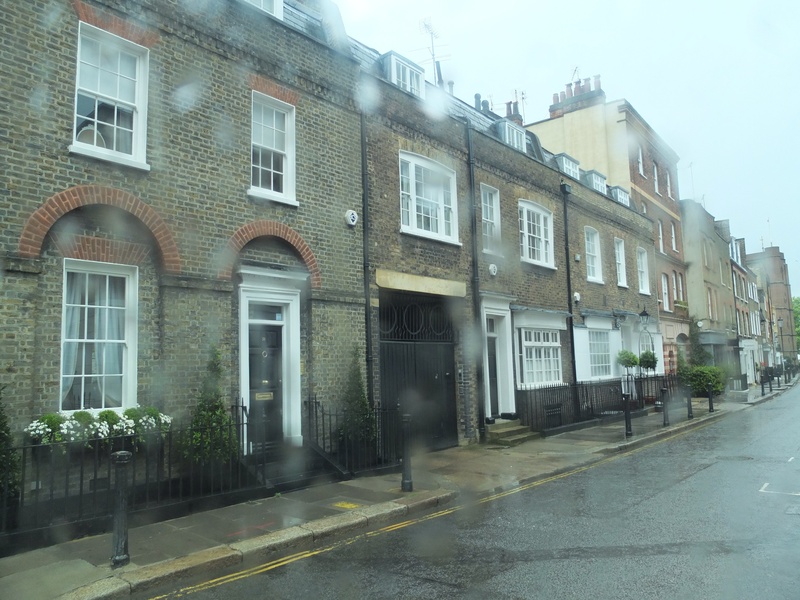 We keep moving thru Portobello Rd, King’s Rd, Notting Hill……….oh thats Posh and Becks new $70 m home. 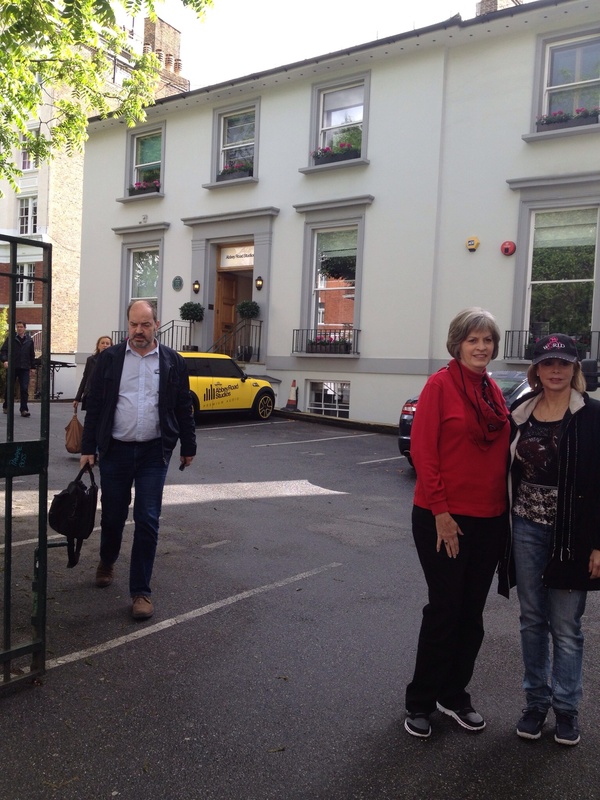 We stop at a Beatles shop and pick up some stuff……T Shirts, fridge magnets, coffee cups and then back up to Abbey Rd. Crazy scene. Sue and I get to walk the crossing. A dream fulfilled. I get a snap of the actual studio that really was at the cutting edge of innovation. Around the time of Pepper the sound engineers actually built equipment to achieve certain sounds. For example the Automatic Double Tracking device that was used for doubling vocals and guitars. Think guitar sound in While My Guitar Gently Weeps. musicians leave the studio after working on a Korean film . In the end a number of loose ends are wrapped up. This is where Lennon and Hendrix lived. This is where Hendrix died. 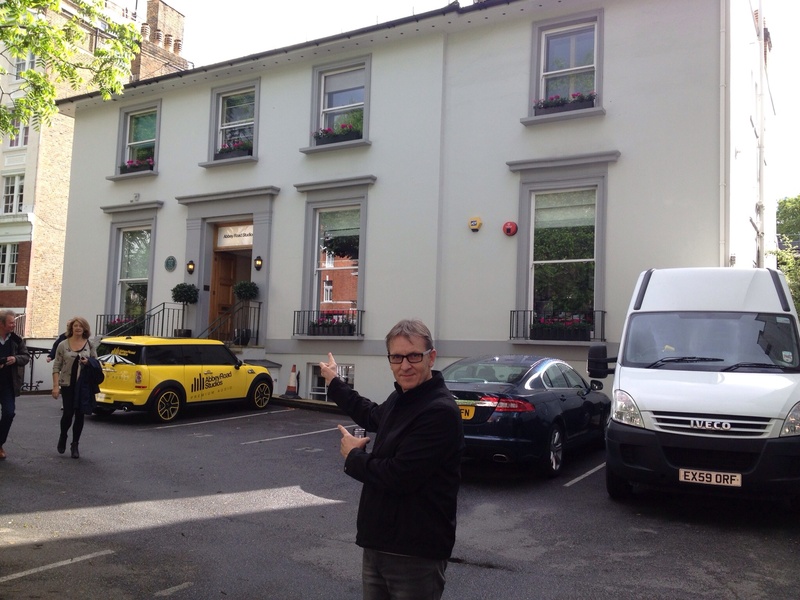 These are Macca’s current digs. 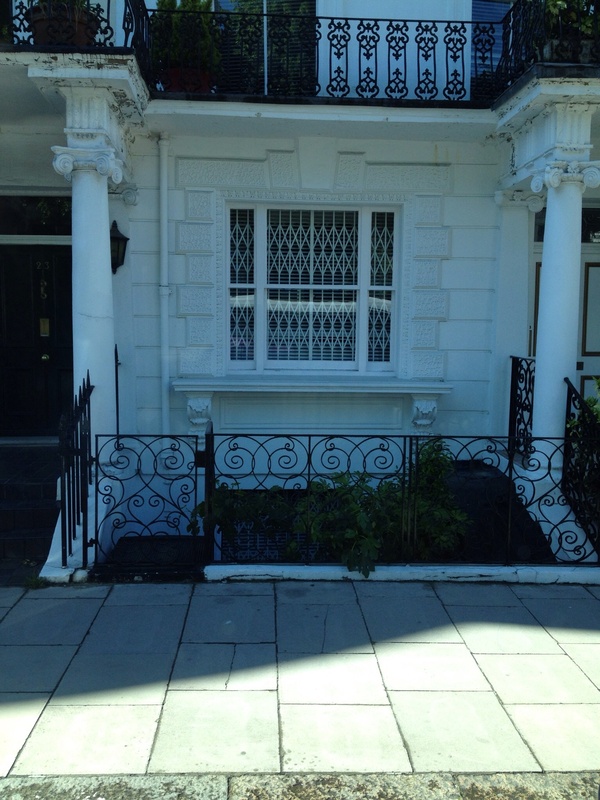 We even saw the famous bathroom window that inspired a song on Abbey Rd. All in all, a massive arvo that I’ll never forget. ~ by gazlington on May 26, 2014.